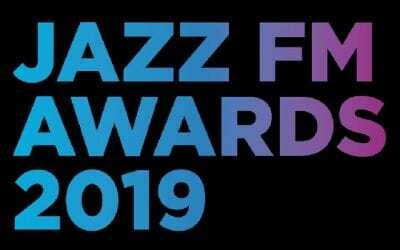 The nominations for the Jazz FM Awards 2019, which take place in April, have been announced. The Awards recognise the best emerging new artists, contemporary icons and established stars from across the worlds of jazz, soul and blues. Nominations include saxophonist Wayne Shorter, Mercury Prize-shortlisted Sons of Kemet, trailblazing Chicago jazz drummer Makaya McCraven, popular neo-soul singer and producer Leon Bridges, blues star Eric Bibb, and from the emerging jazz scene Nubya Garcia, Emma Jean-Thackray, Joe Armon-Jones, Moses Boyd, neo-soulstress Poppy Ajudha alongside South London collective Steam Down. Kamasi Washington’s impromptu performance at the residency has also been nominated for the Live Experience of the Year Award. The UK Jazz Act of the Year and Live Experience of the Year, will be decided by a public vote. Public voting is open now at jazzfmawards.com and will close on Monday 12th March 2019. The night will also feature special performances from a host of celebrated artists, still to be revealed. The main awards ceremony takes place at Shoreditch Town Hall on International Jazz Day which is 30th April.